The sky seemed so much bigger than usual. From the mountains, a forceful, icy wind gusted down the slopes, pushing across the highway, and leaving our eyes dry and our hair swept and blown. 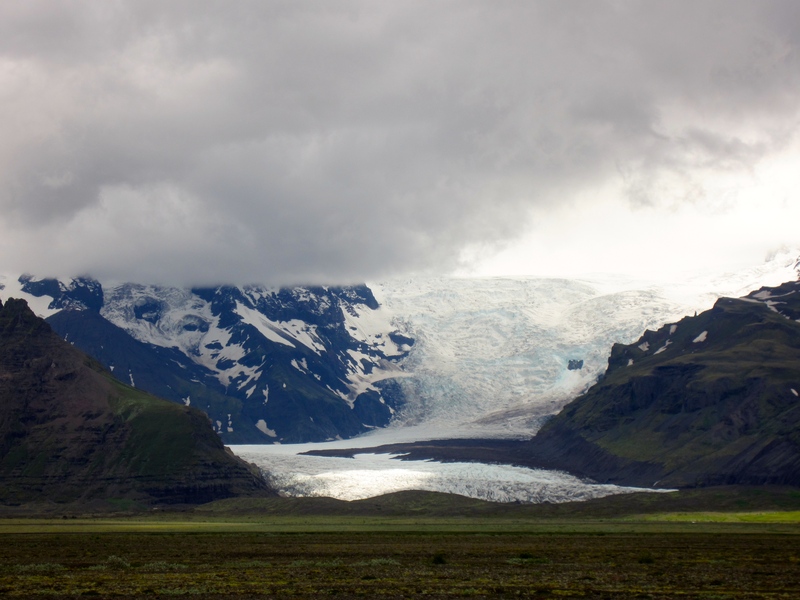 But the most striking thing, by far, was the Vatnajökull glacier, an enormous, sprawling ice cap which smothered the mountain range in a brilliant white blanket. Not far away, two outlet glaciers were pouring down the mountain. Approaching such a huge entity felt like sneaking up on a sleeping ice giant. 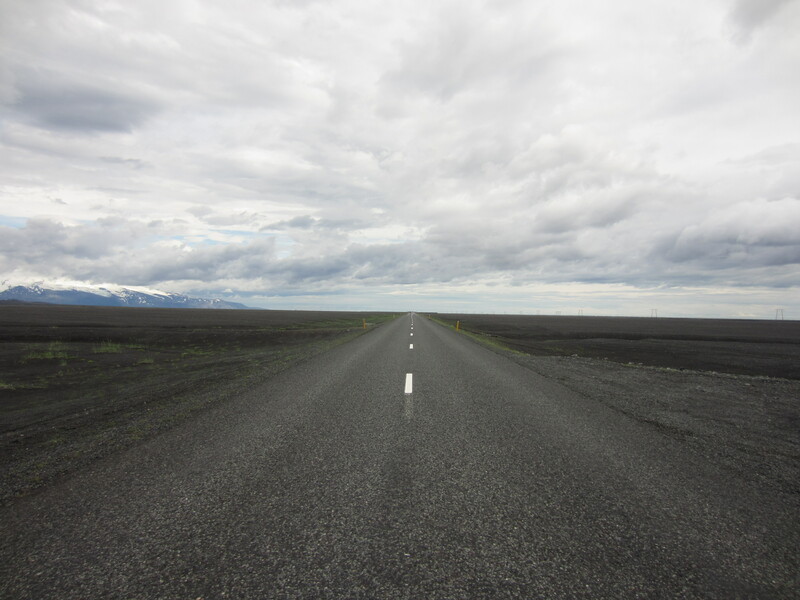 Skaftafell National Park, the southern section of Vatnajökull, was where we were headed. 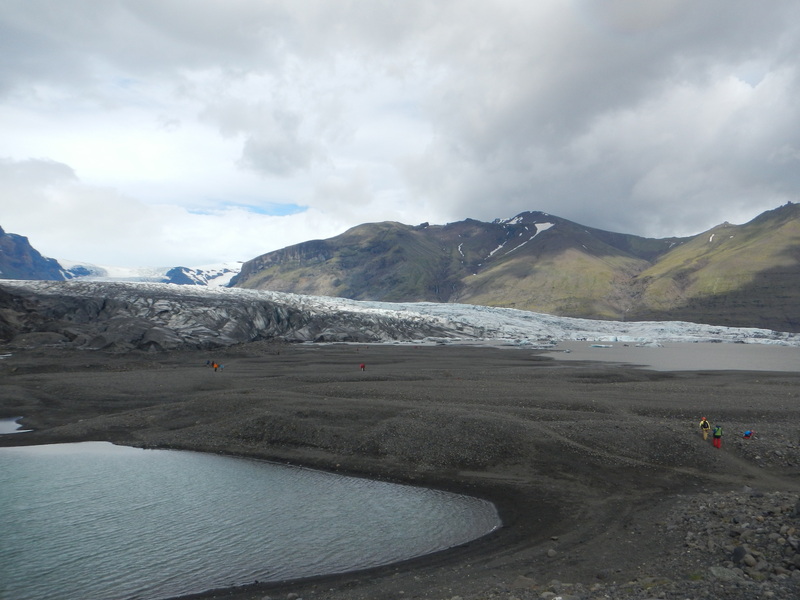 The Skaftafell visitor’s centre at the glacier’s base spiderwebbed out into a few hiking trails. Some of the more determined trekkers were fixing ice spikes to their boots. 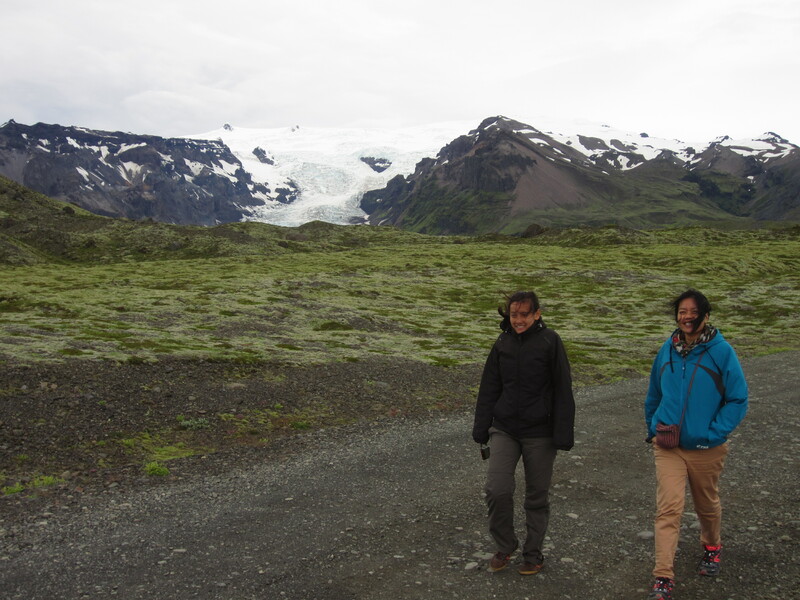 We walked easily from the visitor’s centre to the glacier outlet at Skaftafellsjökull, a flat march through low, hardy bushes and flowering mountain plants. 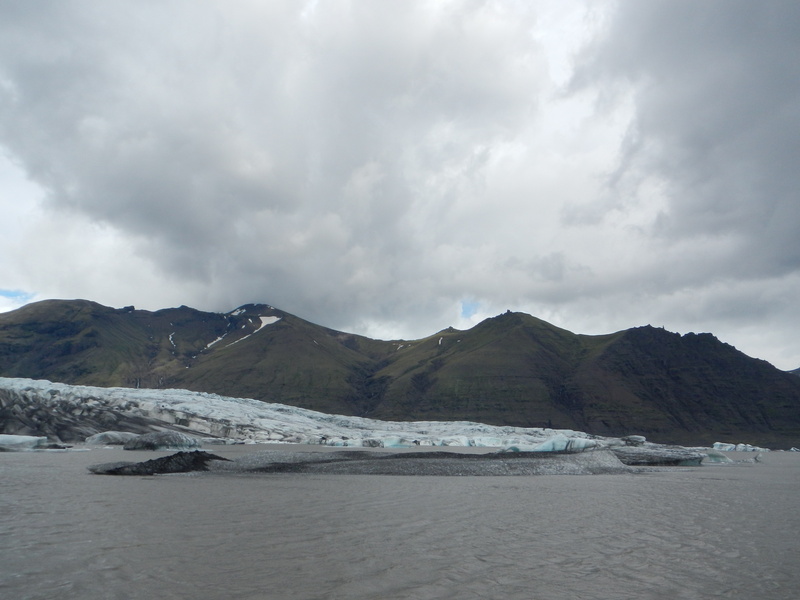 The immense scale of the glacier became more apparent as a plain of pebbles and black sand opened up in front of us. Suddenly, it seemed hundreds of meters wide, and ten metres high. From afar, the glacier shone brightly in icy cold white. Approaching by foot, its cool blue hues appeared through the white, and the frozen cascade appeared to tumble, like a wave. 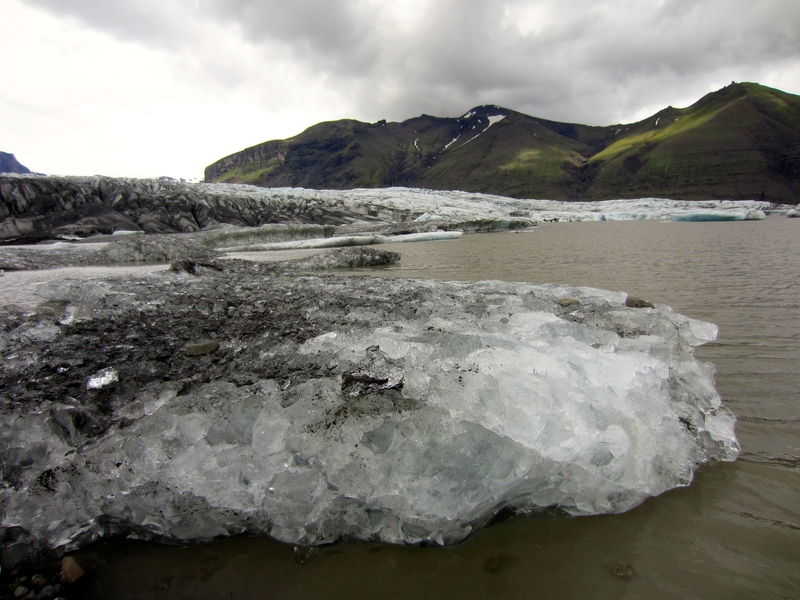 Up close, the wall of ice was dirtied and veined with black volcanic mud. 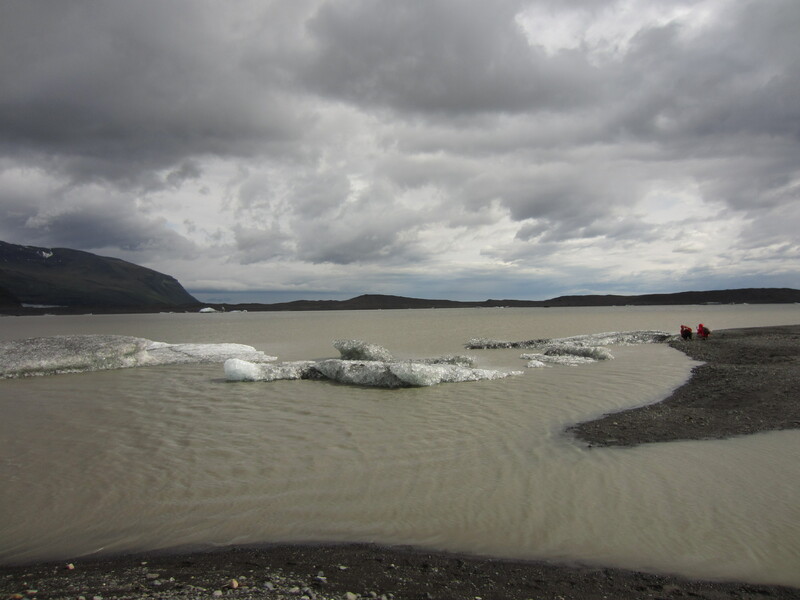 The glacier came to an end at a muddy lake, where blocks of ice calved off into the murky water. A few icebergs drifted and melted slowly in the lake. 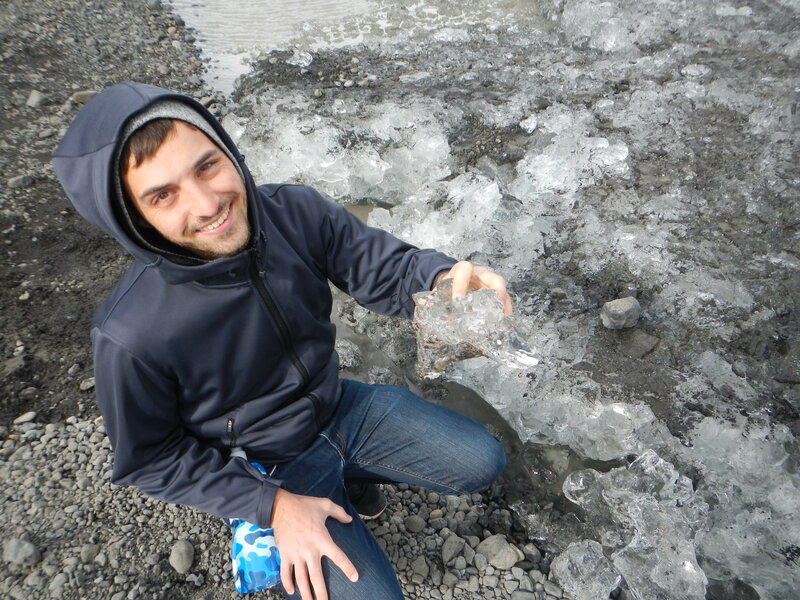 I picked up a piece of ice and considered the hundreds, or thousands of years it may have taken to travel from mountain top to bottom. We camped that night in a field, under the shade of the glacier. Horses stood in a nearby paddock and watched us pitch our tents, their luxurious hairstyles (reminiscent of Brazil’s soccer star Neymar) blowing in the wind. Iceland’s horses (which galloped across the highways from time to time) are a breed unique to the island, with a characteristically short, stocky stature, and bushy manes and tails. Sheep also bounded across the roads from time to time, scrabbling furiously with their tiny legs to bound out of the way of oncoming traffic. 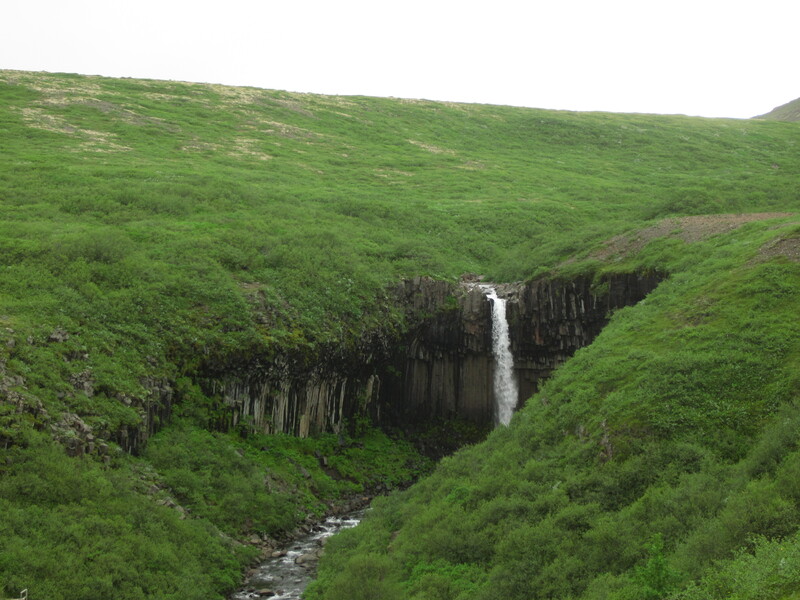 The next morning, we marched up the mountainside to reach a stunning waterfall. My lungs felt re-engerised, so clean and cool was the air in this part of the world. 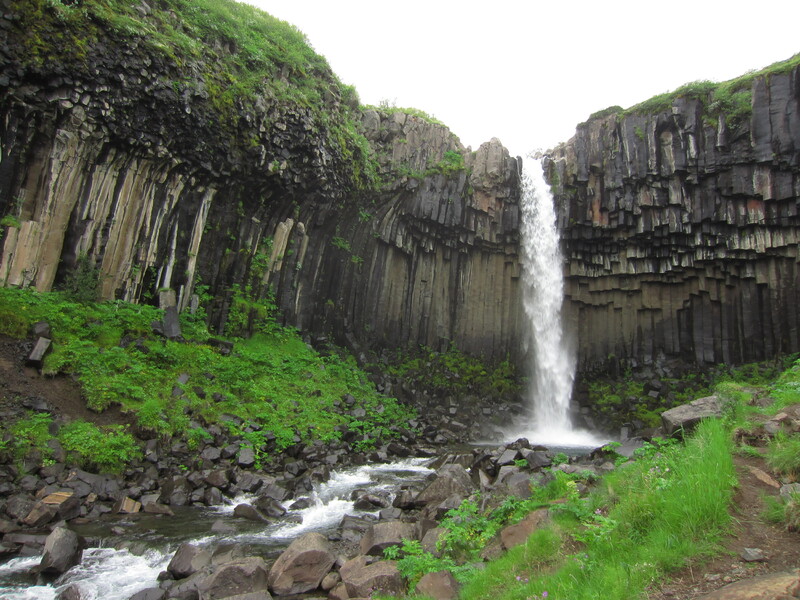 Svartifoss, the waterfall, was narrow and sheltered, but the effect of hundreds of vertical basalt columns turned this tiny enclave into something otherworldly. Hahaha Neymar’s haircut is worldwide!!!! The waterfall was amazing! Truly different from all of the waterfall we’ve seen so far!